SM-XL Each for $11.97. Each case of 12 $119.64. 2X Each for $12.56. Each case of 12 $126.72. 3X Each for $13.09. Each case of 12 $133.80. 4X Each for $13.74. Each case of 12 $140.88. 5X Each for $14.33. Each case of 12 $147.96. 6X Each for $14.92. Each case of 12 $155.04. 7X Each for $15.51. Each case of 12 $162.12. 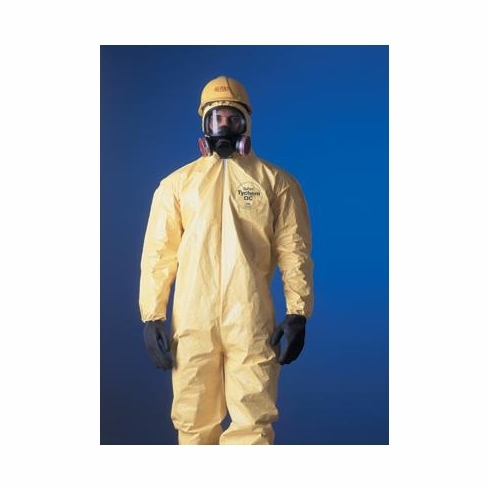 Tychem® QC Chemical Protection Coveralls With Serged Seams, Front Zipper Closure, Attached Hood, Elastic Face, Elastic Wrists And Elastic Ankles.